I went to York yesterday to see the Richard III exhibition at the Yorkshire Museum. 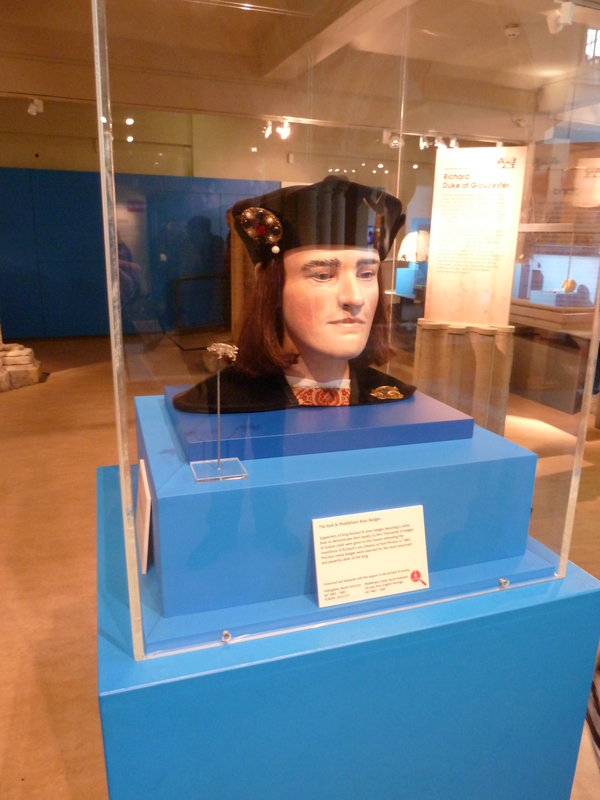 The reconstructed face of King Richard III. I really wanted to see that ‘head’ – the reconstructed face of Richard III that was built up from scans of his skull by Caroline Wilkinson, professor of craniofacial identification at the University of Dundee. It is astonishingly like his portrait and I think I would recognise him instantly if I saw him on the street. Here the King was honourably received at the west door by the Dean and Canons and other ministers of the said church, all vested in blue silk copes, sprinkled with holy water and censed. On an ornamental footstool at the font he said a Paternoster, the Succentor of the Vicars saying the responses to the De Trinitate, that is “Honor virtus”, this being finished by the Choir before the steps of the High Altar. I think that if history had taken a different turn, Richard might have been buried here. Perhaps there would be a tomb marked as that of Richard, Duke of Gloucester and he would be remembered as a great medieval lord of the north. But history turned out differently. His brother Edward died, he rode to London to fulfil the role of Lord Protector and then became king. When his wife Anne died, she was buried in Westminster Abbey and, as king, perhaps Richard expected to rest beside her – although if he had lived longer he might have been laid to rest alongside some future wife. It’s hard to second guess what might have been. So what we are left with is what was. On the 22nd August 1485, King Richard III of England rode into battle against Henry Tudor. He lost. The reasons why could be discussed at length, but as I’ve described in By Loyalty Bound, the actions (and inactions) of the Stanleys were instrumental in his defeat. His body was taken to Leicester where it was publicly displayed so that there would be no question that he was dead. Three days later his body was buried in the church of the Greyfriars – and there it has remained until recently when an archaeological dig by the University of Leicester, part funded by the Richard III Society, uncovered his remains. That amazing discovery has led to a dispute about where King Richard’s remains should be reburied. The exhumation licence granted to Leicester University gave them custody of the remains and their plan was for the king to be re-interred close by his original grave site in Leicester Cathedral. 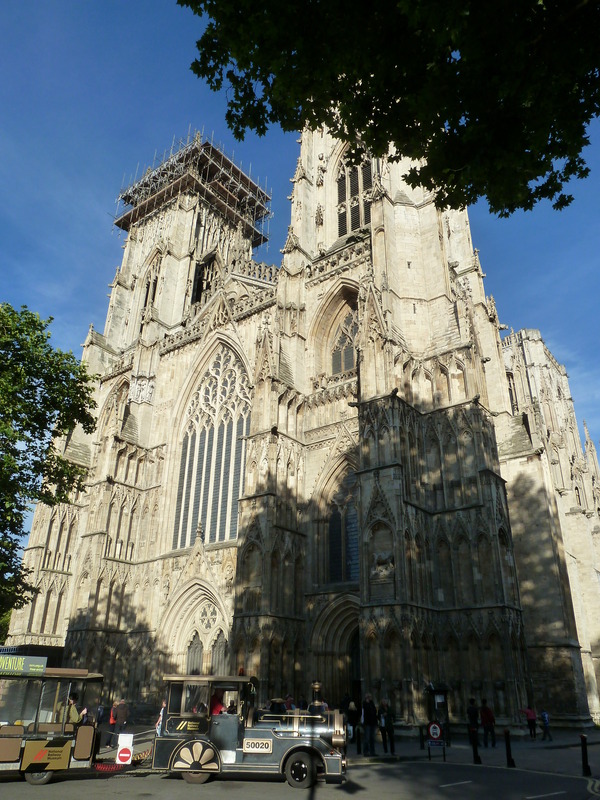 But there has also been a campaign for his body to be reburied in York Minster. I do have some sympathy for those who like to see his remains buried in the minster. It is an imposing building and one that Richard would have known well. But, to do that would be to change history and to deny the long association that Leicester has with the king. And much as I love York and the Minster, the truth is that Richard died at Bosworth and was buried in Leicester. I have plans to visit Leicester next year when I’ll be able to write more about that city’s associations with Richard. Previous Should the remains of Richard III be taken home?